Here at the Next Small Cap , we’re not shy about where we stand on the subject of the ever-burgeoning rechargeable battery market and the inevitability of an electric vehicle-powered future. Keeping our fingers perpetually poised on the pulse of emerging cobalt and lithium explorers, it’s no secret that we think that this space is only going to keep on flourishing. With its high-growth rates and monolithic potential, battery demand is a critical focus for metal markets. If 2016 was all about lithium, 2017 has already shaped up as the year in which cobalt — a key component of the lithium-ion batteries used in electric cars — has taken centre stage. Cobalt use in battery making is increasing as the metal helps allow electric cars to extend their range between charges. 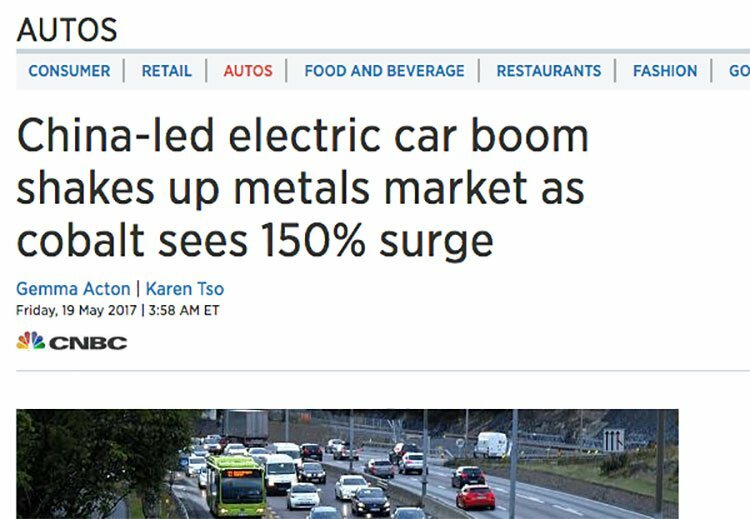 Cobalt is now up 70% year-to-date as use in electric car batteries soars. 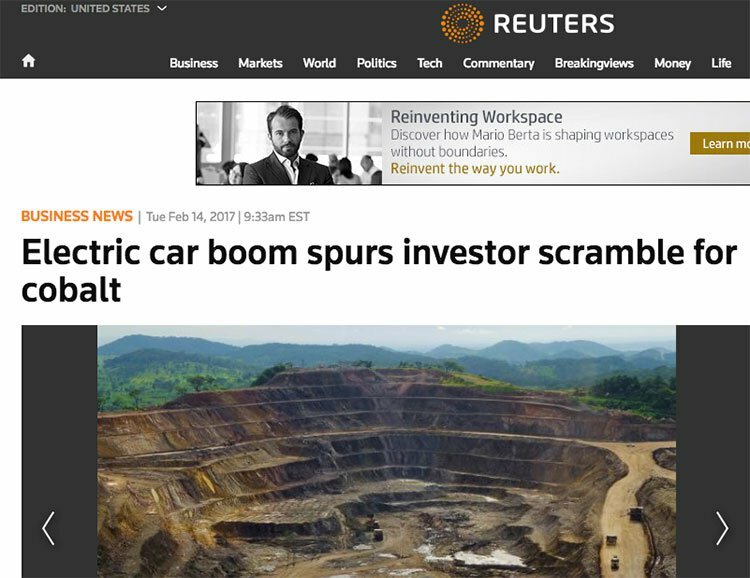 And with the major producers of cobalt being the Democratic Republic of the Congo (DRC), mainland China, Zambia and Russia, the potential political and economic risk is high for cobalt buyers. Subsequently, demand for alternative cobalt sources outside the DRC is steadily rising. One micro-capped Australian explorer is bypassing this cluster of complications entirely by looking for both cobalt and zinc in its own backyard — specifically, in the Bonaparte Basin, situated close to infrastructure and 30km north of Kununurra in the abundantly mineralised Kimberley region of Western Australia. The company is set to acquire a high-grade polymetallic asset, which whilst exploration is very early stage, is already dishing up high cobalt values of over 4% and high-grade zinc of up to 4.1% in rock chip samples . The Bonaparte Project area has prospective large-scale, carbonate-hosted zinc, lead and silver deposits as well as sedimentary-hosted copper and cobalt deposits across a large 550km 2 tenement package area. Several high grade prospects have been defined here. Importantly, a Non-JORC compliant resource of 150,000t averaging 2.25% zinc has been estimated on the exploration licences with significant scope for JORC conversion and extensions to the current ore body. This resource-rich region contains Mississippi Valley Type (MVT) zinc-lead-silver deposits, and presents a similar geological setting to the nearby Lennard Shelf. Yet the area itself remains otherwise largely underexplored for cobalt, with previous companies predominantly targeting nickel and zinc. This ASX company’s approach is aggressive and marked by a razor-sharp focus. This company has undergone a couple of mis-starts over recent years, and is currently valued by the market at $5.7 million with close to $2 million in the bank, but any highly mineralised sampling or drill results could see its share price move significantly north and capture a much larger investor base. As always at this small end of the market, this is a speculative stock – the company may need to raise additional capital to continue with its exploration, and like any small cap stock investment, there may be dilution of capital at some stage therefore professional advice should be sought of considering this stock for your portfolio. Through this acquisition the company is resetting itself, and hoping to prove up some value over the coming months via cobalt and zinc exploration. So, let’s get straight to the crux of the matter. 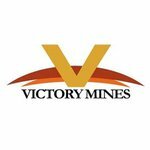 Victory Mines (ASX: VIC) is acquiring the Bonaparte Project – which contains a non-JORC compliant zinc resource of 150,000t averaging 2.25% zinc, that just so happens to have some rather alluring cobalt rock chip grades. Given cobalt is the metal of the moment, and rock chip samples are displaying 4.1% Cobalt grades, there may be much more cobalt to be found, especially since previous explorers were not specifically looking for it. 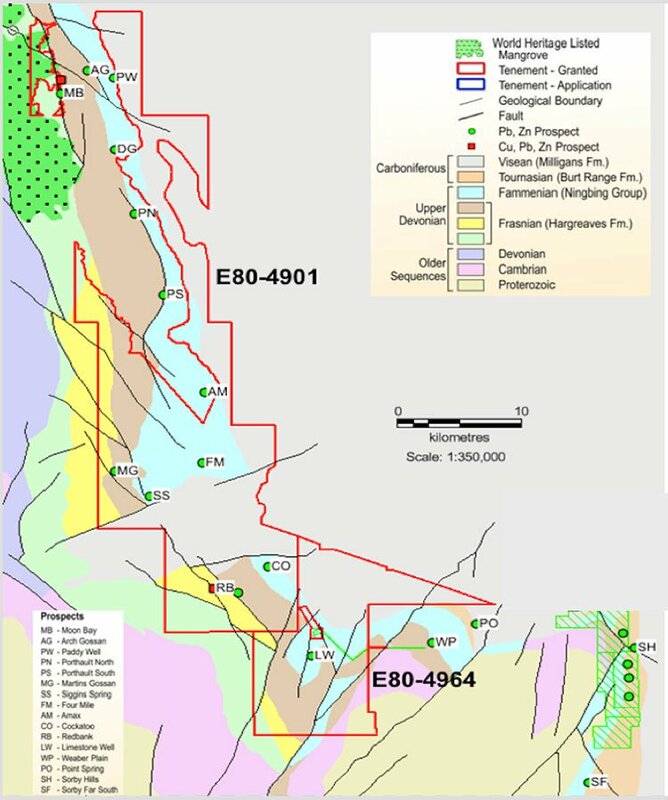 VIC has entered into a Heads of Agreement to acquire this polymetallic asset, located on the prolific western margin of the Bonaparte Basin in Western Australia. Issue of 10,000,000 shares upon satisfaction of the conditions precedent and settlement of the Agreement. 5,000,000 Shares upon confirmation of a JORC probable reserve of 20m lbs at 10% copper or zinc or lead equivalent being delineated on the Tenements (Milestone 2). The Project’s minimum combined expenditure on both licences is A$250,000. The money will allow the work programme to be scaled or held for ~A$150,000 at the election of VIC, which then gives VIC the flexibility to fully explore the project area for all possible deposit types. As we touched on above, the acquisition of the Bonaparte Project features a high-grade cobalt, zinc-lead-silver mineralisation with samples of up to 4.1% cobalt in soft rocks. Interestingly, the region has been compared to the high-grade deposits within the soft sedimentary host rocks commonly found along the Mississippi River in the US otherwise known as Mississippi Valley-Type (MVT). Similarities also abound with deposits in the highly regarded Lennard shelf in Australia. Where the company who was here previously was targeting nickel, VIC’s eyes are firmly fixated on the thriving cobalt and zinc markets, and it’s this sharp focus on high-achieving metals that underpins this company’s strategy. Significantly, most exploration in this region has either involved stratigraphic/pattern drilling or has focused on existing surface gossans, overlooking cobalt due to both historically uneconomic pricing and different commodity focuses. So, because this area has been heavily underexplored — and never previously explored with this particular cobalt-zinc emphasis — VIC is, in a lot of ways, starting from scratch. VIC is backed confidently by a geological team with extensive experience mining in Western Australia. Capped at a tiny $5.7 million, VIC is a micro explorer we could be tracking closely over the coming months. Let’s look at VIC’s Bonaparte Project in more detail. Following a successful acquisition, VIC will secure two exploration licenses covering some 550 km 2 of land at Bonaparte, which are valid for five years. Multiple companies have explored parts of VIC’s tenement package, but not as a single entity. Significantly, most exploration has either involved stratigraphic/pattern drilling or has focused on existing surface gossans. Exploration at the Redbank prospect within E80/4091 (see above) by Placer Prospecting in 1972 resulted in a non-JORC compliant inferred resource of 150,000t averaging 2.25% zinc. 5 g/t Ag over 6.1m from 3m. 1 % Cu over 6m from 3m, and 2.3% Cu over 13.7m from 15m. 4 % Pb over 6.1m from 0m. 1% Zn over 6.1m from 0m and 3.8 % Zn over 3m from 0m. Recent work completed at the Bonaparte Project confirmed high grade mineralisation for cobalt/zinc and copper. Recent rock sampling results are shown in the map below. The Bonaparte region displays a similar depositional/structural setting to the Lennard Shelf, with comparable aged rocks. There is significant zinc, lead and copper geochemical anomalism which has been located by previous exploration, indicating that mineralising fluids have reached these rocks. The geochemical anomalism found appears to be associated with syn-sedimentary normal faults, similar to the structures controlling the Lennard Shelf MVT-style deposits. 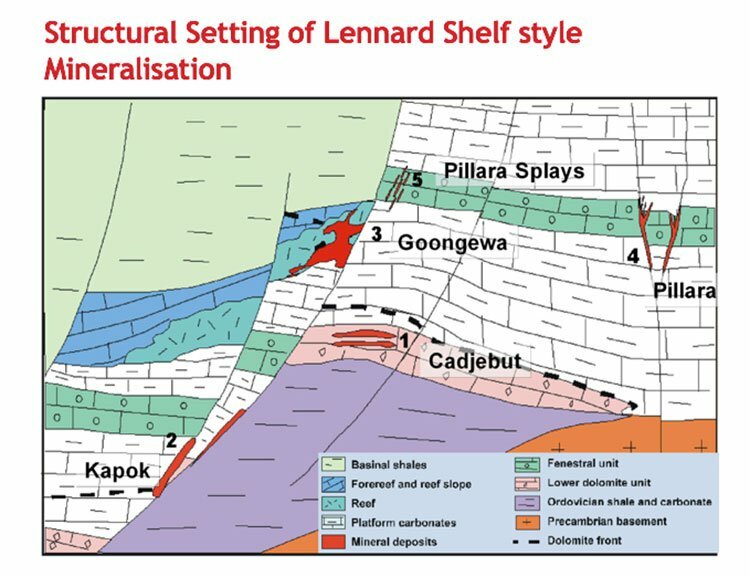 However, the Lennard Shelf MVT-style structural setting has not been tested within the Bonaparte Basin. Only the higher Sorby Hills/Sandy Creek MVT-style stratigraphic setting has been tested, but not extensively. The best prospects VIC has identified — Redbank (est. 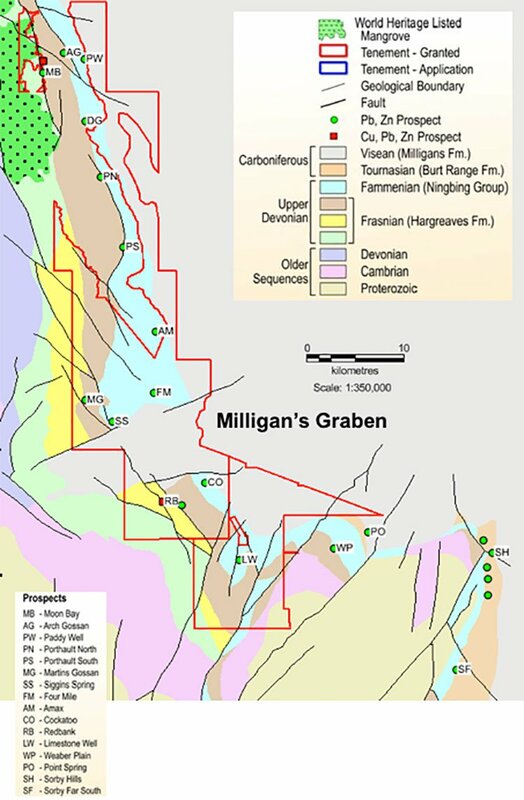 150,000t averaging 2.25% zinc), Martin’s Gossan, Siggins Springs, Four Mile, Cockatoo — are adjacent to Milligan’s Graben, which could have been a significant fluid pathway from the deeper basin. It’s also important to note that MVT deposits are highly regarded in the industry — MVT’s high grades, combined with the soft sedimentary host rock and concentrated structural formation, make them particularly easy to mine. In its pending rigorous exploration program, VIC’s strategy is to target the fault plumbing corridors that mineralising fluids have used to travel up from deep in Bonaparte Basin. Drilling to date has been focused on the stratigraphy up dip of the extensional normal fault structures that host Lennard Shelf style mineralisation. This interpretation suggests the mineralisation identified to date is just leakages from the more significant mineralisation within the extensional normal fault structures. There is an interesting similarity here with the Chinese-owned Lennard Shelf lead and zinc mining project, located about 400 kilometres east of Broome, near Fitzroy Crossing — not so far from the Bonaparte Basin — which contains an impressive Resource totalling 20.34 million tonnes, with an average grade of 9.2% lead/zinc. The deposits at Lennard Shelf consist of MVT lead and zinc ore bodies, which are, as we’ve mentioned, also what VIC is dealing with here. Assuming VIC can find something substantial, this particular ore body should be easy to mine and dress, able to produce a concentrate of high quality that will likely attract a high price. It’s early days yet, but VIC is in an excellent position to discover a new mineralised terrane containing multiple deposits similar to the Lennard Shelf. 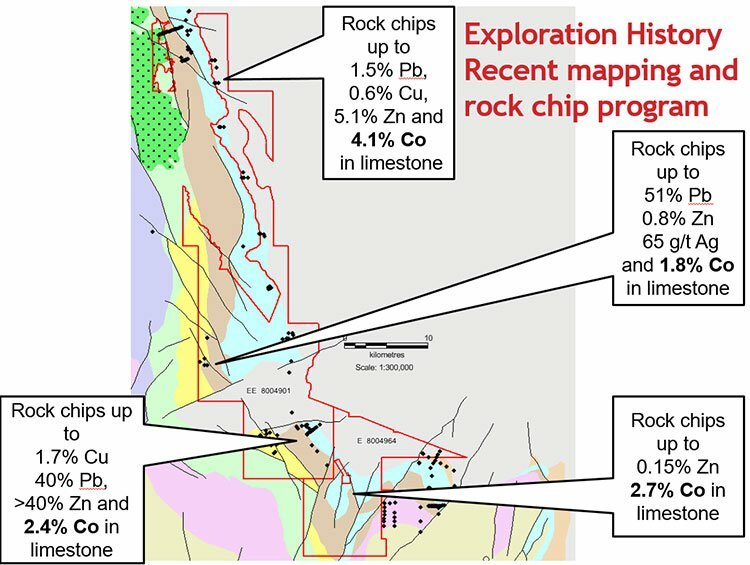 In the short term, VIC is awaiting confirmation of XRF results via assays from an independent laboratory — expected in the next two weeks. This could provide significant news on the Bonaparte Basin front. Next on the company’s agenda will be an initial gravity, mapping and soils program, and then a highly targeted drilling program. One of the key attention-grabbers here is the prime setting on which VIC has set its sights. The Bonaparte project is situated in close proximity to strong supporting infrastructure, tarmac and a solid source of power, placing it in the veritable heart of the Kimberley mining district. On a much wider scale, though, this choice of location also steers away from the potential geo-political risk that could arise in major cobalt producing countries like the DRC, Zambia and Russia. The DRC is the world’s largest producer of cobalt, accounting for around 60% of global production. 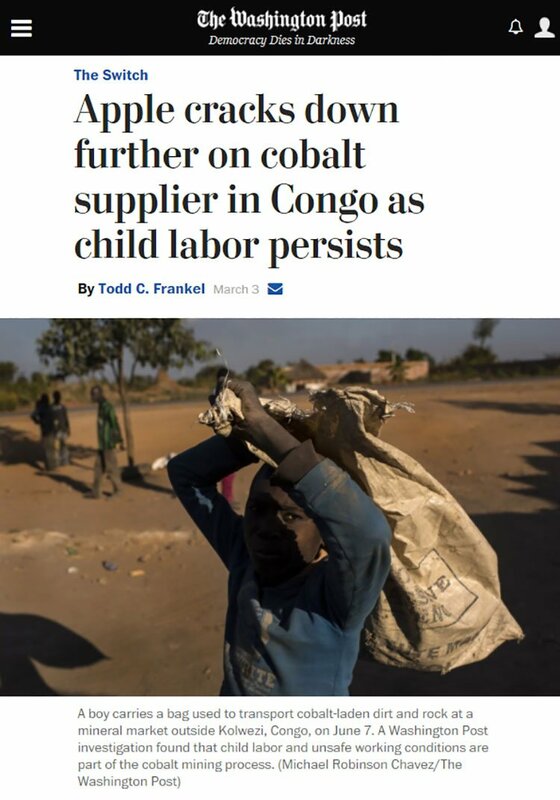 However, cobalt mining in the DRC has also been connected to human rights abuses , including the usage of child labour and harsh working conditions. As a result, Apple recently announced that it has temporarily stopped buying cobalt mined by hand in the DRC. This provides a huge obstacle to boost cobalt supply, and demand is rising for an alternative cobalt source outside the DRC. Another issue is that 98% of the world’s ethical cobalt is produced as a by-product of copper and nickel mining, which wreaks havoc with regular supply and demand dynamics. Cobalt — an unstoppable trend? 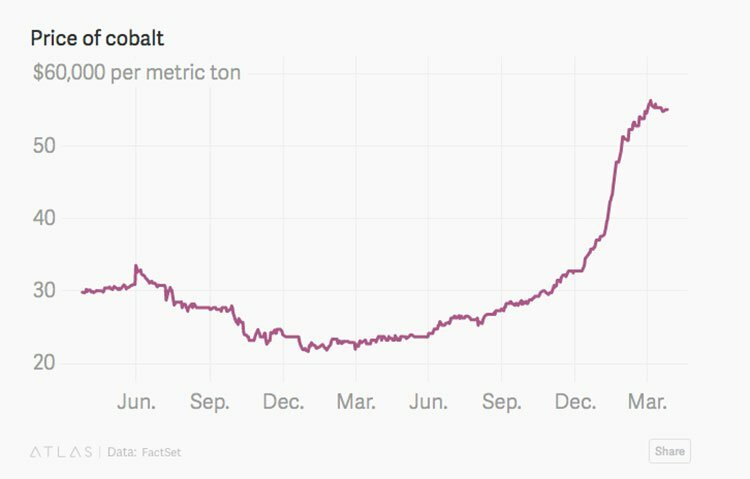 Driven by the voracious demand for rechargeable batteries and the increasingly pervasive movement towards electric vehicles, the price per ton of cobalt has surged by almost 70% so far this year. VIC’s timing could scarcely be more salient. The kind of projection indicated here could mean higher margins if VIC can manage to reach production stage. Of course it should be noted that commodity prices do fluctuate and caution should be applied to any investment decision here. Seek professional financial advice before choosing to invest. Mining consultants, CRU Group, say that electric cars and plug-in hybrid vehicle sales could hit 4.4 million in 2021, and more than six million by 2025, from 1.1 million last year. 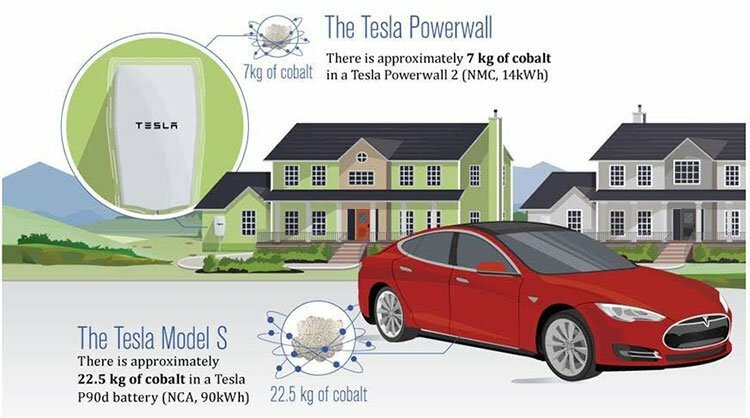 Considering that by 2020 75% of lithium-ion batteries will contain cobalt, that still leaves plenty of upside for cobalt prices and investors in cobalt explorers such as VIC. Rising cobalt demand and flat supply in the 100,000 metric-tons-a-year market opened a 1,500 ton deficit in 2016 that could triple this year, according to CRU Group. Analysts at Macquarie Research expect deficits of 885 tonnes next year , 3,205 in 2019 and 5,340 in 2020. The general consensus is that cobalt demand growth will outpace cobalt supply growth for the foreseeable future, setting the stage for persistent material shortages and far higher prices. 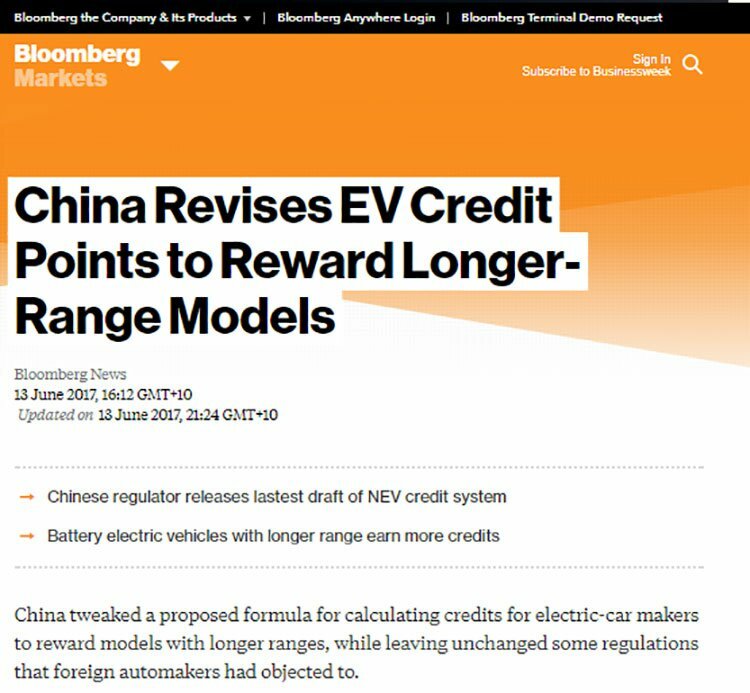 Especially intriguing to cobalt investors is recent news of China tweaking a proposed formula for calculating credits for electric car makers to reward models with longer ranges. To encourage vehicle manufacturers to reduce emissions, China operates a credit point system. Adjustments have been made so that electric cars with longer range receive more credit points. This is a major propellant for the ternary battery rally. In the wake of this development, China’s largest manufacturer of cobalt products, Zhejiang Huayou Cobalt, rose by 10%, adding nearly US$0.5 billion of market cap. Similarly, Ningbo Shanshan, the world’s largest cathode producer with capacity of 330mt, rose by more than 8%, or US$0.2 billion in market cap, and China Moly gained 7%, or US$0.6 billion. With this supercharge in Chinese cobalt stocks, similar growth may well reach the ASX in the near future, making VIC’s cobalt play an exercise in particularly impeccable timing. Over the last five years, zinc has demonstrated the best performance of all metals, with a total price increase of 32%. At its most robust, zinc reached US$1.35 per pound in early 2017 and has remained a metals overachiever. Zinc supply has also flagged significantly, with two of the largest zinc mines in the world (the Century zinc mine in Queensland and the Lisheen mine in Ireland) closing in the last couple of years due to ore repletion, removing ~4% of world supply. Zinc demand has tightened consistently throughout the last few years and is expected to increase by 2.1% to 13.85 million tonnes in 2017. What do the powerhouse performances of these metals — both cobalt and zinc — mean for VIC? VIC is aggressively looking for two high-demand commodities in an otherwise underexplored region, with its ambitions backed by rising cobalt and zinc prices. Victory in the Bonaparte Basin? As we’ve mentioned, the Bonaparte Basin is still heavily underexplored, or explored by companies targeting a different set of commodities. Given this, as well as the company’s hyper-focused strategy, VIC could well be in a ripe position to stumble upon a significant discovery. Yet, this is an early-stage play and caution should be applied to any investment decision with regard to this stock. With a targeted drilling program anticipated in the not-so-distant future, regular newsflow is expected, and we’ll be watching closely to see what pans out next for VIC.